The European Commission has told Microsoft that it could impose extra antitrust fines on the company. The EC fined the US company 497 million Euros in 2004, but has now accused the corporation of "failing to comply" with that ruling. Article 24 of Regulation 1/2003 entitles the Commission to "compel companies to put an end to infringements of EC Treaty anti-trust rules, where an infringement has been established by a previous Commission anti-trust decision." The fine must not exceed "five per cent of average daily turnover in the preceding business year per calendar day." Part of the 2004 ruling found that Microsoft infringed the EC rules on "abuse of a dominant position." The complicated ruling compelled Microsoft to disclose certain key information about its software. The EC released a statement telling Microsoft it shouldn't be charging for some technology licensing within Europe as some of the technology isn't homegrown Microsoft technology. Microsoft's provided "interoperability information lacks significant innovation," it said. 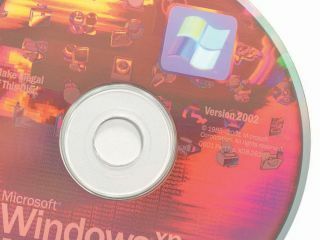 "Microsoft has agreed that the main basis for pricing should be whether its protocols are innovative," said Competition Commissioner Neelie Kroes . "The Commission's current view is that there is no significant innovation in these protocols. I am therefore again obliged to take formal measures to ensure that Microsoft complies with its obligations." Unsurprisingly, Microsoft released a statement to say it disagrees with the Commission's accusations. "We do have a different perspective on the underlying facts and the proposed findings. First, we believe we have been fair in setting proposed protocol prices"
Microsoft's announcement cited an analysis by PricewaterhouseCoopers that its proposed protocol prices were "at least 30 percent below the market rate for comparable technology." In the statement, Microsoft cited more than 36 awarded patents for its protocol technology and said there were 37 pending. "It's hard to see how the Commission can argue that even patented innovation must be made available for free," continued the statement. The EU has sought to force Microsoft to disclose information that will allow other companies to make sure their software works properly with Microsoft's operating systems. In 2006 the Commission told Microsoft to pay further day-by-day fines totalling 281 million Euros.